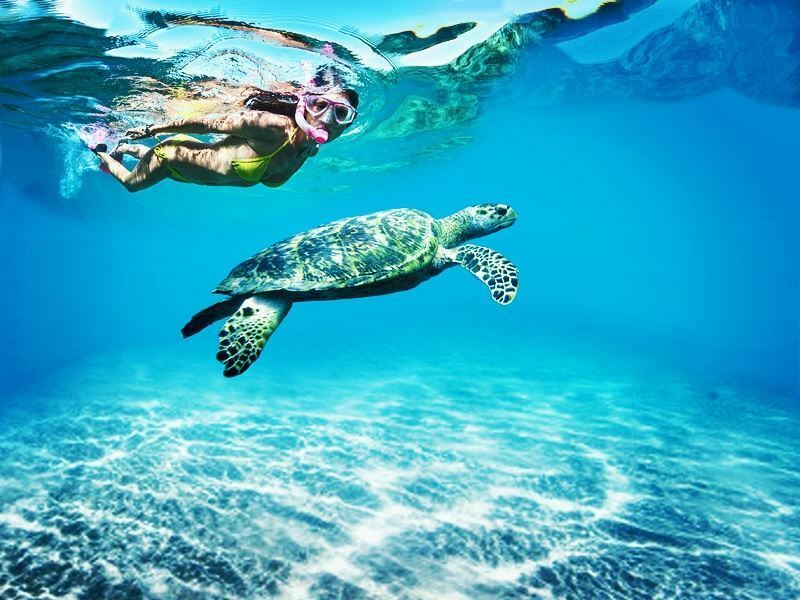 The tiny Caribbean island of Tobago, along with its larger neighbour Trinidad, is among the world’s premier turtle watching destinations. 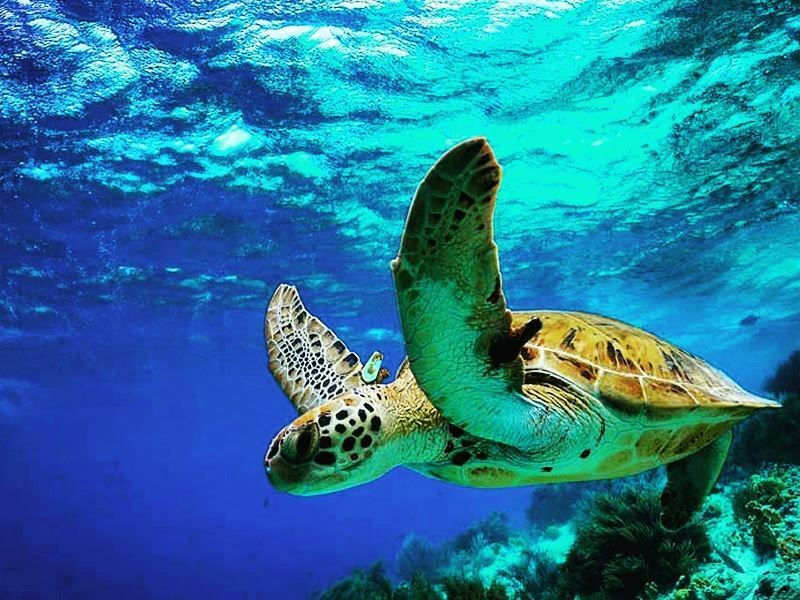 While turtles can be spotted year round through diving and snorkelling in the crystal clear waters and reefs, it’s hard to beat the sheer spectacle of observing turtles come ashore during the nesting season. Turtle nesting season runs from January to September, with activity peaking between March and June. If you’re planning a visit to Tobago during this time, you won’t want to miss out on the chance of a lifetime to witness one of nature’s most awe-inspiring displays. We’ve put together a guide outlining the best beaches in Tobago to encounter nesting turtles, details on local conservation projects, and some all-important guidelines for turtle watching. Tobago is home to three of the major specifies of sea turtles, including the giant leatherback, the green and the hawksbill. 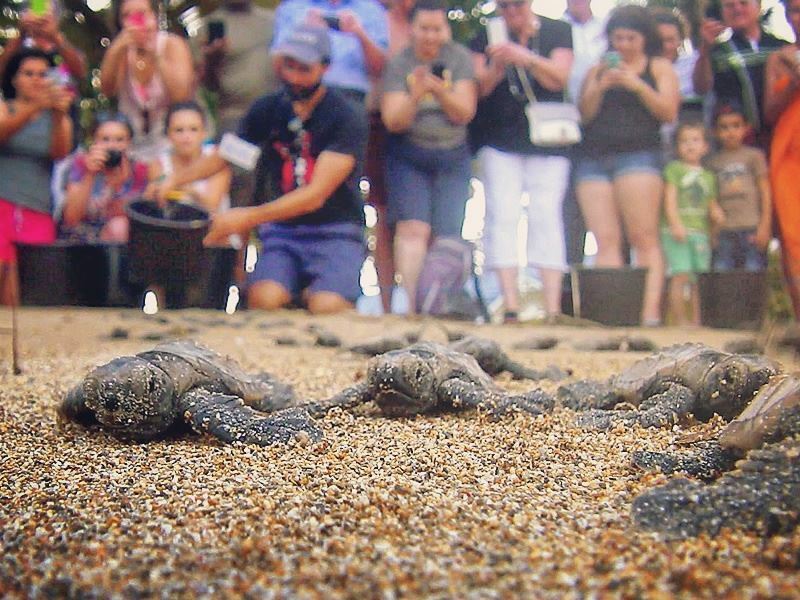 These are amongst the most endangered creatures on earth, so to witness the female turtles coming ashore to nest - the only time they do so during their life - is a true privilege and a uniquely moving experience you’re never likely to forget. 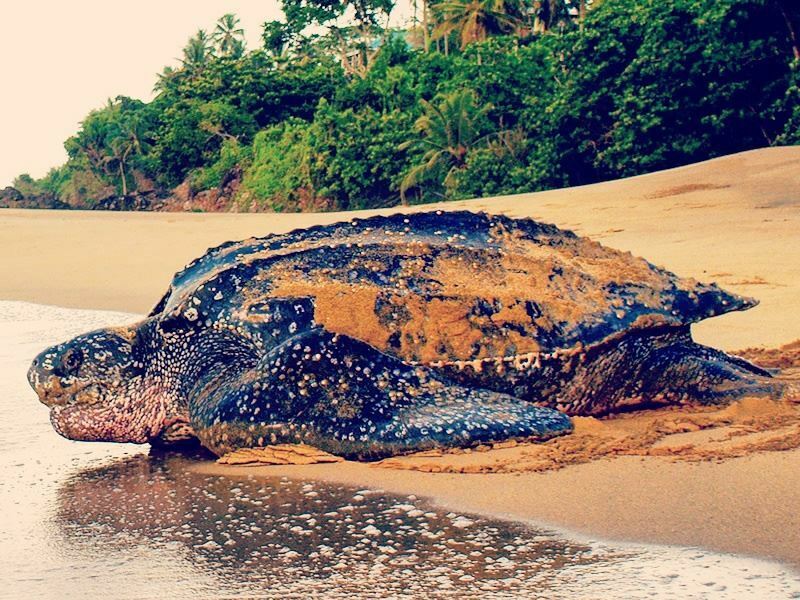 Laying sight on a giant leatherback is an especially dramatic experience. They are one of the oldest animals on earth and the largest of the sea turtles, weighing up to 2,000 pounds and reaching lengths of up to 10 feet. Yet various manmade and environmental pressures mean that the population has fallen dramatically over the past few decades, meaning the importance of nesting season to the species’ future really cannot be overstated. - The female turtle emerges from the ocean and gradually climbs up the beach to find a suitable nesting site well above the high tide line. - She then creates a “body pit” through shifting the sand with her powerful flippers, before using her hind flippers to excavate a deeper egg chamber. - The turtle keeps very still while laying between 80 to 100 eggs. - She then covers and camouflages the nest with sand to protect it from predators before making her way back down to the ocean. This process takes place during the night and can take up to two hours. A female will typically return to the same beach to lay eggs up to nine times during one breeding season. 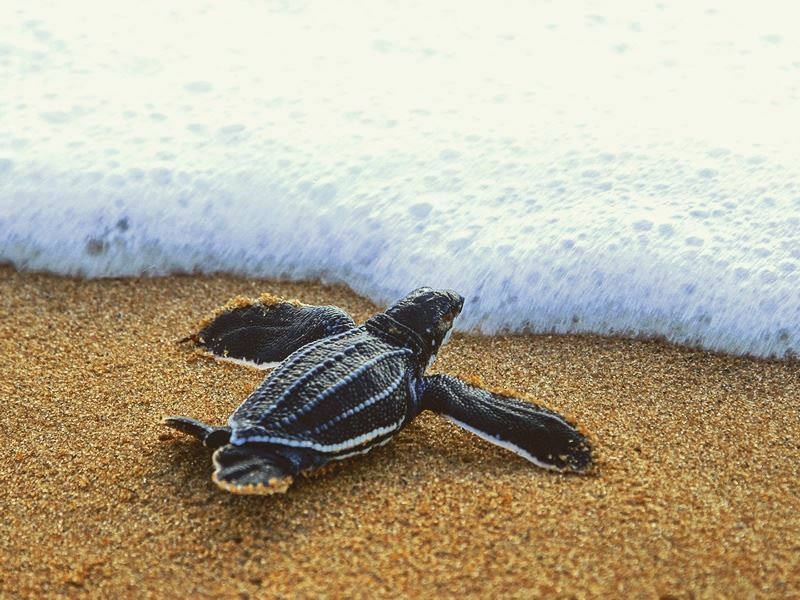 As well as the main turtle nesting event, visitors to Tobago can witness the minuscule turtle hatchlings emerge from the sand and frantically scurry towards the safety of the ocean, a wonderfully cute sight which takes place 6 weeks after the eggs are laid. There are three prime locations for turtle watching on Tobago, all of them in the Black Rock area on the island’s west coast and subject to strict protection and monitoring. These are Turtle Beach (also known as Courland Bay), Stonehaven Beach and Grafton Beach. Each of these spots is ideally suited for turtle laying owing to their deep water approach which allows the turtles to get close to the shore before climbing towards the back of the beach. There are also several other beaches in Tobago that are commonly used as nesting sites including Grange Bay, Back Bay, Starwood Bay, Castara Bay and the area around Charlottesville. The aptly named Turtle Beach is perhaps the best of the bunch, and a spot particularly renowned for its giant leatherbacks. All the hotels along this stretch of beach organise their own turtle watching outings during nesting season. At the Rex Resorts hotel, turtles are regularly seen within mere metres of the restaurant. As nesting happens during the night and the turtles can be unpredictable, you’ll need to remain on the alert for a call from hotel staff to come down to the beach at short notice. Once on the beach you’ll be accompanied by a certified tour guide who will be on hand to safeguard the turtles, explain the nesting process, as well as carry out basic research tasks such as measuring and tagging. 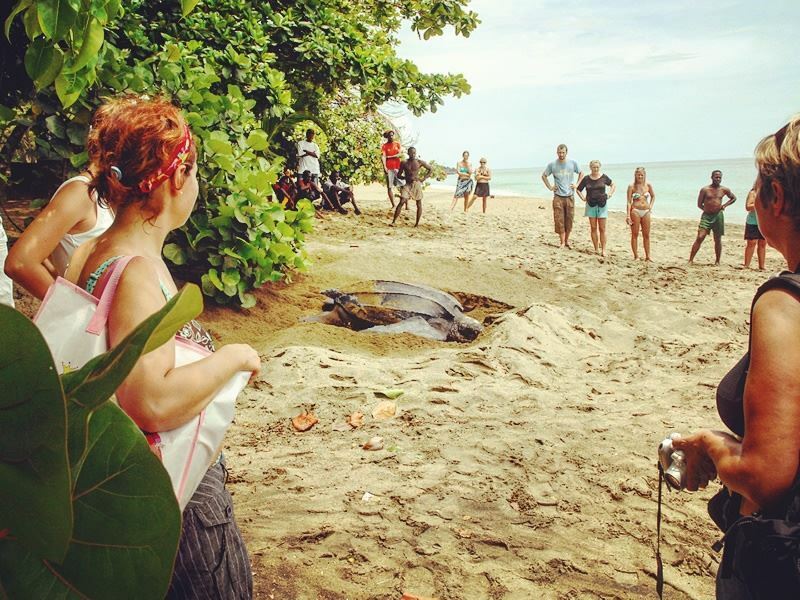 If you’re not staying in the Turtle Beach area, you can still witness this amazing sight through organising a tour via local conservation charity Save Our Sea Turtles Tobago. Many of the turtle species found on Tobago are critically endangered, as well as being sensitive to even the slightest of disturbances. As such, its vitally important that those taking part in turtle watching, and visitors to the island more generally, familiarise themselves with some basic guidelines that will both ensure the wellbeing of the turtles as well as maximise the experience of all those involved. Due to pressures such as coastal development, beach erosion and pollution, the worldwide turtle population is declining at a rapid rate, and it is thought that leatherbacks may become extinct within the next few decades. However, through following the above guidelines and approaching turtle watching with compassion and respect, you are becoming part of the solution towards safeguarding these magnificent creatures. There are numerous organisations worldwide that work tirelessly to protect nesting turtles. In Tobago, the Save Our Sea Turtles charity is leading the way in turtle conservation efforts, carrying out valuable work such as monitoring and data collection, anti-poaching patrols, promoting turtle-friendly policies, and spearheading education initiatives. They also work with tourists, hotels and tour operators to develop and enforce turtle-watching guidelines, train tour guides and help raise awareness about the island’s turtle population. They currently offer guided tours around nesting beaches, as well as volunteer placements related to research and education initiatives. In the near future, the charity is also hoping to expand to offer offshore field trips and overnight camping trips, allowing visitors to gain an even deeper insight into the lives of these inspiring creatures.